CHICAGO — Illinois Gov. Bruce Rauner has refused to pardon a U.S. Army veteran with a green card who faces deportation because of a 2008 drug conviction. Last month, the 7th U.S. Circuit Court of Appeals in Chicago rejected the argument by Miguel Perez Jr that his life would be in danger if he were deported to Mexico. He left Mexico when he was 8 years old. Advocates hoped a pardon from Rauner would encourage the federal government to grant citizenship to Perez, retroactive to when he joined the military in 2001. 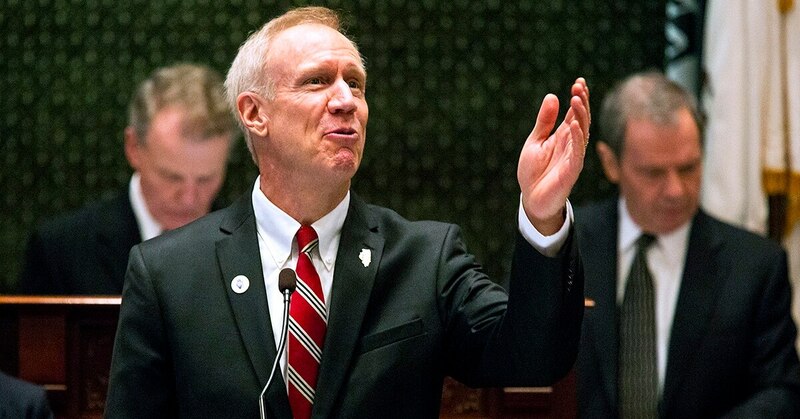 The Chicago Tribune reports Perez attorney Chris Bergin and Perez’s mother, Esperanza Montes Perez, said Rauner turned down the clemency request. Rauner’s office did not respond to questions on the matter. Perez served two tours in Afghanistan. He says he mistakenly thought he became a U.S. citizen when he took an oath to protect the nation. He’s being held in a Wisconsin detention center where he awaits deportation.